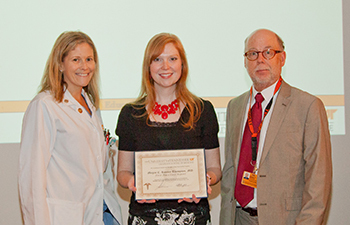 The UT Graduate School of Medicine and Academy of Scholars Committee held Resident and Fellow Research Day on Wednesday, May 28, where 21 residents and fellows from 8 programs presented their original research or case study in a five-minute oral presentation. Accepted abstracts were reviewed by Valerie Berthelier, PhD; Richard Gibson, MD; Lisa Haddad, RN; Ronald Lands, MD; Amy LeBlanc, DVM; and Dustin Osborne, PhD. A panel of judges evaluated presentations on research ideas, methods, results, potential contribution to medicine and presentation skills. The 2014 judges panel includes Hobart Akin, MD, Carol Ellis, MD, Paul Huffstutter, MD, Stephen Kennel, PhD, and Jonathan Wall, PhD. 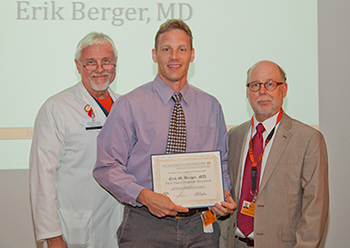 The following physicians were awarded for their research at an awards luncheon June 6. See Research Day presentation photos on Flickr. "Mechanisms for Sudden Cardiac Death in Endurance Athletes: Support for Exercise-Induced Arrhythmogenesis"
"Androgen Deficiency Influences Matrix Metalloproteinase Expression and Intimal Hyperplasia Development after Vascular Injury"
"Elimination of Pelvic Computed Tomography for Renal Cell Carcinoma Follow-Up: A Clinical, Safety and Cost Analysis"
"Improved Accuracy of Minimally Invasive Transpedicular Screw Placement in the Lumbar Spine with 3-D Stereotactic Navigation: A Review of 599 Consecutive Patients with Meta-Analysis"
"Hormone Replacement Therapy Induced Polycythemia: A Case Report"
The UT Graduate School of Medicine has established the Academy of Scholars, an initiative based on prior work by the Carnegie Foundation to promote academic excellence among faculty physicians by creating a community of scholars on the UTGSM campus. Continuing the series introduced in the February issue of The Scope, Academy members Patrick McConville, MD, and Daphne Norwood, MD, share what they see as the importance of the Academy and what they hope to accomplish through the organization. Learn more about the Academy members and its goals. "My personal belief is that as educators and physicians, our health care will only continue to improve if we continue to improve ourselves every day, whether it be better policies, better education of residents, or better communication among healthcare professionals." 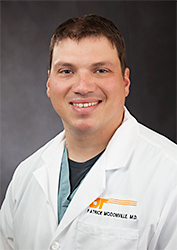 Patrick McConville, MD, is an Assistant Professor in the Department of Anesthesiology and is involved in clinical care, resident education, and research. He is also the section head in the Division of Obstetrical Anesthesiology. He said, "My personal belief is that as educators and physicians, our health care will only continue to improve if we continue to improve ourselves every day, whether it be better policies, better education of residents, or better communication among healthcare professionals." 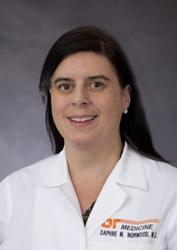 Daphne Norwood, MD, MPH, FACP, is an Assistant Professor in the Department of Medicine and Director of the Transitional Year Residency program. She said, "An academic medical center has so many teachers and opportunities to find ways to improve - by listening to and working with patients, physicians, nurses and many other allied health care professionals. The Academy of Scholars exists to promote finding new ways to excel in education." Look in the next issue of The Scope for perspectives from Academy members Mark Rasnake, MD, and Nikki Zite, MD, wrapping up our series on the Academy of Scholars. "Study rates football helmets by concussion risk"
"UT Medical Center preparing in case MERS virus hits East TN"
"Determined Knoxville woman doesn't let cancer keep her from having a family"
"ECG screening of young athletes doesn’t trigger anxiety"
"Medicaid rules an obstacle to postpartum sterilization"
"Cancer survivors celebrate life on National Cancer Survivors Day"
The University of Tennessee Medical Center is the first hospital in the state of Tennessee to implement a dedicated, full-time K-9 program. Representatives from the medical center’s Security Department say the addition of two dogs to the force will serve as a calming influence for patients, visitors and staff while also providing an extra layer of safety at the region’s academic medical center. The presence and calming effect of the dogs are expected to be a great benefit during this time of rapid growth at the medical center. For example, the Emergency Department at the medical center, according to hospital records, has seen approximately a 35 percent increase in patient volumes in the past five years. 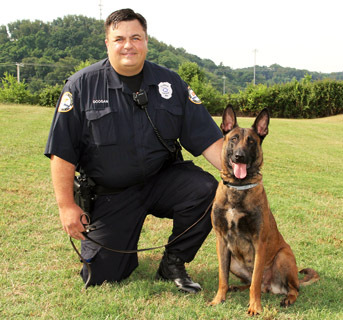 "We’ve been fortunate to have a very safe campus, and we’re confident from our research of other hospitals around the country that the addition of the K-9 program will further enhance safety and security for everyone at the medical center,” said Lt. Brandon Ingram, who oversees the K-9 Program for the Security Department at The University of Tennessee Medical Center. “The dogs will provide comfort and serve as a tension reliever for our patients and their loved ones who are going through a stressful situation as well for our team members who work so hard." While the dogs are highly trained for numerous safety aspects, Ingram said, their obedience training makes them quite approachable, with permission from the handlers. Ingram said hospitals with similar programs report that the dogs often have a therapeutic effect on visitors and employees alike. 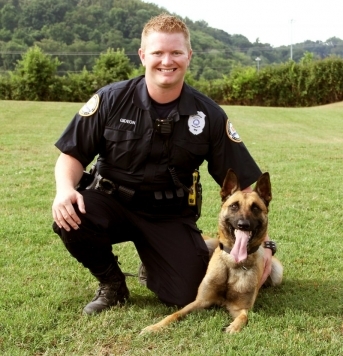 The dogs, both Belgian Malinois, earned certifications in June and immediately began patrol. Koda, a 60-pound 21-month-old male with a calm demeanor, and Kimber, a 75-pound 2-year-old female who views every movement around her with heightened awareness, and their handlers completed an intense five-week long training at the Knoxville, TN area location of the internationally renowned dog training facility Cobra Canine for certification. A $25,000 grant from the medical center’s auxiliary made this program possible. Volunteers with the auxiliary hold fundraisers throughout the year to help provide additional equipment and other needs for the hospital. Scott Stevens, MD, Professor of Surgery, Director of Endovascular Therapy and Co-Director of the Aortic Center, was appointed to the Editorial Board for the Annals of Vascular Surgery, a journal that provides peer-reviewed coverage of clinical and experimental work in vascular surgery. Published eight times a year, the journal includes original research articles, basic science research, surgical notes and techniques, reviews and case reports. It is the official publication of the Peripheral Vascular Surgical Society. 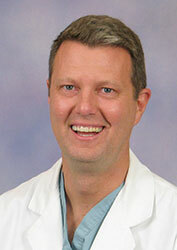 Dr. Scott Stevens reports that he is honored to be part of this prestigious publication. The Sixth Annual Stroke Symposium: Rehabilitation Across the Continuum of Care will be held August 19 at the University of Tennessee Conference Center. Stroke is the leading cause of disability in the United States. Among Medicare patients discharged with a stroke diagnosis: 24% are discharged to an inpatient rehabilitation facility, 31% are discharged to a skilled nursing facility, and among those discharged home 32% require home health services. Rehabilitation after stroke is a lifelong process requiring input from a multidisciplinary team. This activity is approved for AMA credit hours and TPTA CEU approval is pending. 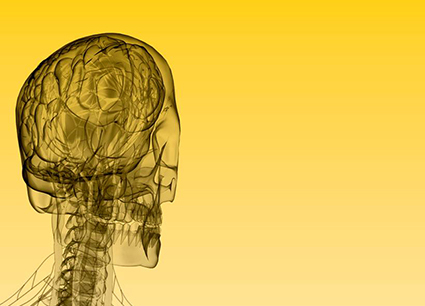 Learn more about the Stroke Symposium. The Heart, Lung, Vascular Update for Primary Care Providers: Utilizing Targeted Interventions to Reduce Risk Factors will be held September 5-6 at the University of Tennessee Conference Center. Using case-based examples, the Heart, Lung, Vascular Update for Primary Care Providers will provide direct contact with individuals focusing on the treatment outcomes for patients in the area of lipid disorders, sleep apnea, chronic cough, wearable defibrillators, hypertension and renovascular and lower extremity venous disease. This activity is approved for AMA and ACPE credit hours. Learn more about the Heart, Lung, Vascular Update and register. Dustin Osborne, PhD, Director, and Shelley Acuff, CNMT, Clinical Research Leader, in the Molecular Imaging and Translational Research Program won one of three young investigator awards from the Computer and Instrumentation Council at the Society of Nuclear Medicine and Molecular Imaging Annual Meeting. Awards are given for the best scientific abstracts on computer and instrumentation nuclear medicine. Their work showed the first ever whole-body Patlak parametric images using continuous bed motion PET techniques. 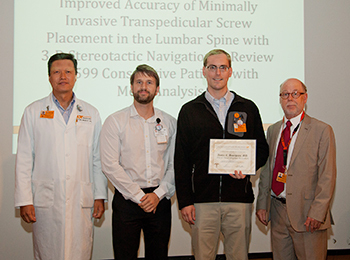 Acuff and Alan Stuckey, CNMT, Preclinical Imaging Lab Manager, both won $1,000 travel awards for their abstracts on patient anxiety in PET imaging and comparison of reconstruction methods in melanoma. Patrick Barlow, PhD, recently received his PhD in Educational Psychology and Research with a concentration in Evaluation, Statistics, and Measurement from the University of Tennessee. 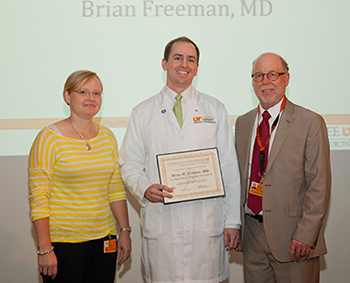 While working toward his degree, Barlow worked as a statistical and research design consultant in the UT Graduate School of Medicine Office of Medical Education, Research and Design. His primary research areas were in higher education assessment, specifically in the graduate medical education settings as well as teaching statistics and research methods in the social sciences, epidemiology, and clinical medical fields. 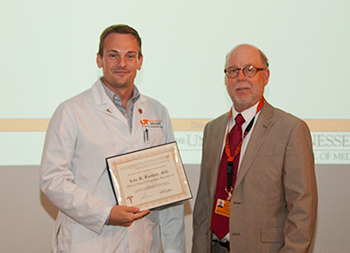 For his dissertation, Barlow researched, “Development of the Biostatistics and Clinical Epidemiology Skills Assessment for Medical Residents." 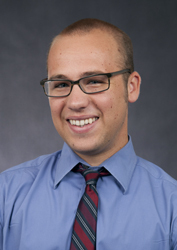 Barlow is now a Post Doc Research Associate at the University of Wisconsin-Madison Department of Surgery where he is project manager for a surgical simulation grant from the Department of Defense.